Senior capstone experiences, one of a number of high-impact educational practices promoted by the Association of American Colleges and Universities, provide students with an opportunity to integrate and apply what they have learned throughout their undergraduate years. Participating in capstone experiences have been linked to engagement in deep learning and gains in personal and social development, practical competence, and general education. 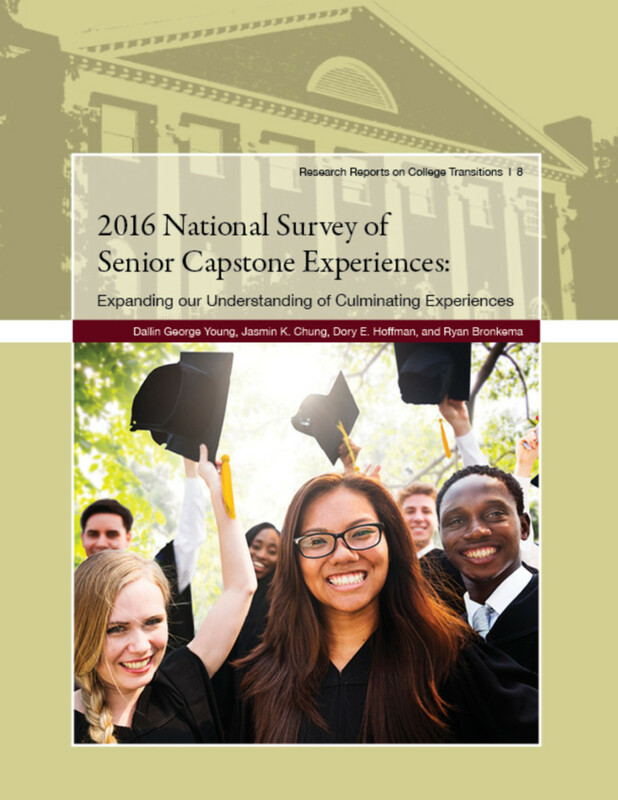 The 2016 National Survey of Senior Capstone Experiences is an institution-level study designed to gather a national profile of campus efforts to promote student success in the senior year. This research report presents findings related to institutional priorities for the senior year, the types of capstone experiences offered, and the organization and administration of select capstone experiences.